A professor of Biology at UMass Amherst with and interest in the mangrove ecosystems of the Caribbean and the deep water environments of the Connecticut River, Ed Klekowski has become well known as a videographer and writer. He has produced documentary for PBS station WGBY on the Quabbin reservoir and the great flood on the Connecticut River in 1936, and on the Yankee Division during the First World War. He and his wife Libby have co-written two books on the First World War, Eyewitness to the Great War (McFarland Press, 2012) and Americans in Occupied Belgium (McFarland Press, 2014). 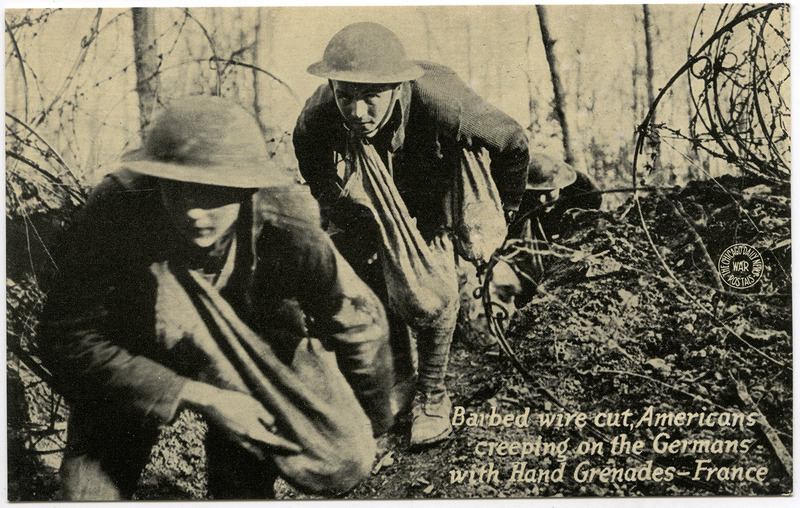 This small collection of postcards consists primarily of images of American military involvement during the First World War. The scenes depicted range from the first contingent of American soldiers to arrive in 1917 to gas attacks, tanks, and American soldiers and Marines in the trenches and combat during the summer and fall 1918. Among the more unusual form postcards are two cartoon images intended for use by soldiers on their return home, one each from the Knights of Columbus and the Jewish Welfare Board. The postcards were collected by the Klekowskis during preparations for their documentary on the Yankee Division. Gift of Ed and Libby Klekowski, Nov. 2017. As a journalist with the Boston Globe, a news commentator on WGBH television, and Curator of the Nieman Foundation for Journalism at Harvard, Louis M. Lyons was an important public figure in the New England media for over fifty years. A 1918 graduate of Massachusetts Agricultural College and later trustee of UMass Amherst, Lyons was an vocal advocate for freedom of the press and a highly regarded commentator on the evolving role of media in American society. The Lyons Papers contain a selection of correspondence, lectures, and transcripts of broadcasts relating primarily to Lyons’ career in television and radio. From the McCarthy era through the end of American involvement in Vietnam, Lyons addressed topics ranging from local news to international events, and the collection offers insight into transformations in American media following the onset of television and reaction both in the media and the public to events such as the assassinations of John F. Kennedy and Martin Luther King, the war in Vietnam, and the social and political turmoil of the 1960s. Long-time residents of Hadley, Massachusetts, the Nash and Scott families were united in 1881 when John Nash, a farmer, married Lizzie Scott. Of their seven children, Herman B. Nash, graduated from the Massachusetts Agricultural College in 1917, and immediately enlisted in the army, serving in France at the close of World War I. His youngest sister, Helen, kept the family connected during these years by writing and distributing a family newsletter, the Plainville News. The Nash-Scott Family Papers contain a number of photographs, including an album capturing a trip to the west coast in 1915 and a canoe trip to Labrador in 1920. 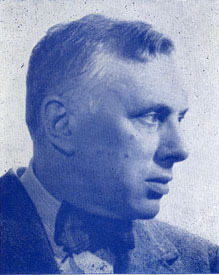 Herman B. Nash’s scrapbook documents not only his time as a student at M.A.C., but also his service in France, featuring candid photographs taken by Nash during and after the war as well as identification cards, company rosters, and a German propaganda leaflet picked up near the front. Pamphlets, genealogical notes and postcards complete the collection. Frank “Nick” Newth was born in Lynn, Mass., on Oct. 9, 1895, the son of shoe cutter Charles H. Newth and his wife Mary Hobart Brackett. A talented baseball player in high school, Newth used his sport connections to become a manager, and eventually owner, of a billiard parlor. On October 5, 1917, however, he was drafted for service in the First World War an deployed to France with the Quartermaster Corps in January 1918. Unusually, for most of his service, Newth was posted in northwestern France (Abbeville, Amiens, Rouen) as a disbursement officer for American troops serving with the British Expeditionary Force an then disbursing to the wounded in base hospitals. He was promoted to Corporal in May 1918, and ended his overseas service in May 1919 as a Sergeant working with the Quartermaster’s financial unit. After returning home, Newth married his longtime sweetheart Letitia “Letty” Crane, with whom he raised a family of four. He worked as proprietor of the New Buick Billiard Hall until 1928, when he opened a successful business selling rubber tires in southern New England. Newth died on May 29, 1979, and is buried in the Forest Chapel Cemetery in Barrington, R.I. 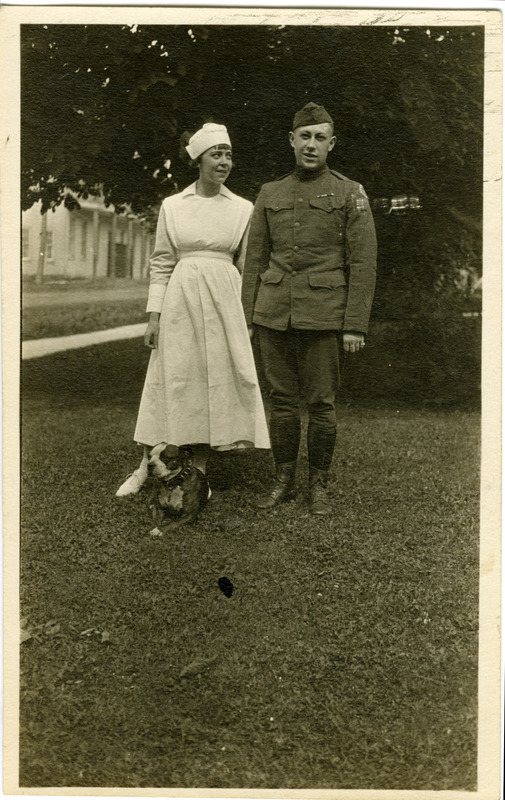 The Newth collection consists of many dozens of letters written between Frank Newth and his fiancee Letty and other members of his family back home in Lynn, Mass., while his served with the Quartermaster Corps in the First World War. Although his letters are subject to the censorship typical of that war, Newth was an excellent and observant writer and because often served near the front, but in a support role, he had time and energy to write. His affection for Letty (and hers for him) come through in every letter, but Newth also discusses his duties in the service, recreation and travel, and the sights and people of France. The collection also includes a fine letter describing the relief after the Armistice went into effect; a brief, but outstanding typed diary kept during the early months of his overseas service; and a small handful of pamphlets, keepsakes, and official papers. A 21-year-old carpenter, Phillip N. Pike left his home in North Adams, Massachusetts, in August of 1917 to enlist in the Signal Corps. Ordered first to Fort Sam Houston in San Antonio, Texas for training, and then to France in December of 1917, Pike was assigned to the 78th Aero Squadron of the American Expeditionary Forces, doing construction work on bases where the squadron was stationed. In recognition of his skills, he earned promotion to corporal and then sergeant before the war’s end. The squadron served primarily in Romorantin (Loir-et-Cher) and was redesignated the 490th Aero Squadron before demobilizing in late 1918. The Pike letters are a relatively voluminous and interesting set of soldier’s letters from the First World War, written from the perspective of a worker on an air base. Although he was not an aviator, Pike’s letters contain many details about life on active duty with the AEF, from the time of his entry into the service in August 1917 through the last days of the war. A Quaker and philanthropist from Worcester, Mass., Sarah J. Swift was a noted supporter of Friends’ missions in Palestine and Jamaica for over half a century. The wife of D. Wheeler Swift, an innovator in the manufacture of envelopes, Swift began to support the Friends’ foreign missions by the 1890s, becoming a major benefactor of the Eli and Sibyl Jones Mission and girls’ school in Ramallah and of the small Quaker mission at Buff Bay, Jamaica. The Swift papers contain a thick series of letters from the Society of Friends’ Eli and Sybil Jones Mission in Ramallah, Palestine, documenting their activity between 1890 and 1942, with a much smaller series of letters relating to the mission at Buff Bay, Jamaica. 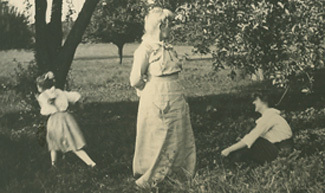 The missionaries’ letters — including circular letters to supporters and others addressed to Swift personally — discuss school operations and local affairs in Palestine and Jamaica. Of particular note are letters discussing the work at Ramallah around the turn of the twentieth century and several letters discussing the hardships of wartime and recovery from war. Jones, Alice W.Kelsey, A. EdwardVincent, Charles S.
A member of a distinguished family of New England educators and clergymen, Brainerd Taylor played an key role assisting the U.S. Army in taking its first steps into modern mechanized warfare. Born in Newtonville, Massachusetts, in 1877, Taylor entered Harvard with the class of 1899, but during the rush of enthusiasm accompanying the start of the Spanish American War, he left before completing his degree to join the military. Serving with the Coast Artillery for several years, he became the Chief Motor Transport Officer for the Advance Section of the Service of Supply for the American Expeditionary Force during the First World War, earning promotion to Colonel, a Distinguished Service Medal, and the Legion of Honor from France for his efforts. Taylor married twice, first to Vesta Richardson, who died in 1919, and then to Helen Cady. Taylor died in 1955. The Taylor family collection contains more than 1,000 letters documenting the military career and personal life of Brainerd Taylor, with particularly thick coverage of the period of the First World War when he was stationed in France, building the Motor Transport Corps virtually from scratch. These letters are exceptionally well written and rich in description, both about his duties and his travels in France and Germany. The collection also includes Taylor’s extensive correspondence to his father, James Brainerd Taylor (1845-1929), and correspondence relating to Taylor’s wives, children, and grandchildren. Taylor, Brainerd, 1877-Taylor, Helen M.Taylor, James BrainerdTaylor, Vesta R.
In June 1917, Lloyd Walsh volunteered for duty in the American Field Service, and for three months he served as an ambulance driver for Service Section 68 (S.S.U. 68), a unit that included a number of Amherst College students. 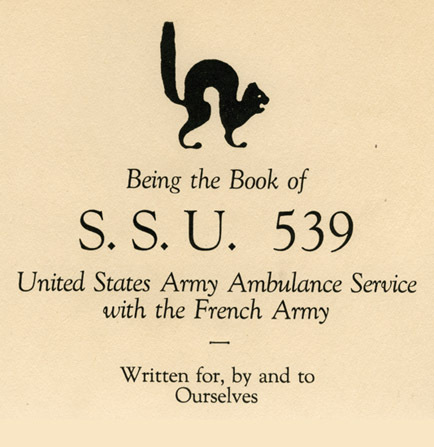 When the United States entered the war later in the year, however, most AFS units were transferred to the American Expeditionary Forces or disbanded, and Walsh transferred to ambulance duty with the American Red Cross. He continued to serve with the Red Cross after the war, stationed in Vienna, eventually rising to the rank of Captain. The collection includes a thorough paper trail of Walsh’s work as a volunteer with the AFS and Red Cross during and after the First World War, along with a capsule service record, correspondence, and news clippings that flesh out his experiences. Adding to the picture is Walsh’s decorated Red Cross footlocker, three German helmets (including a Pickelhaube), his own helmet, an American Model 1917 trench knife, and two Hungarian posters. 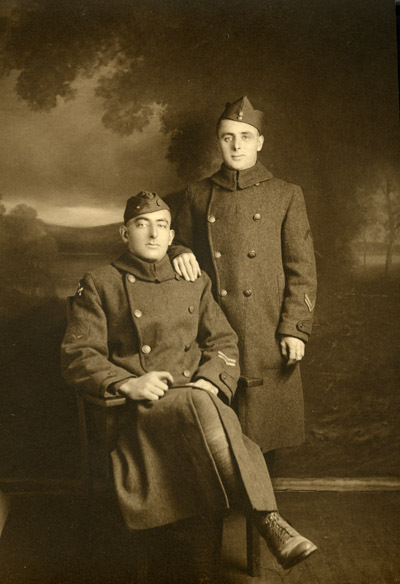 In July 1917, prior to the American entry in the First World War, Frederick Vail Waugh joined a group of about fifty residents of Amherst, Mass., who enlisted for duty in the Ambulance Service of the French Army. From August 1917 through April 1919, SSU 39 (Service Sanitaire Unis) — redesignated SSU 539 and transferred to the American Expeditionary Service in January 1918 — served among the trenches of northern France and Belgium. Known as the Black Cat squadron, they took part in three major offensives with the AEF, the Aisne-Marne, Oise-Aisne, and Ypres-Lys. Waugh was among three members of the unit awarded the French Croix de Guerre for courage and energy during the last month of the war. After returning to the states, Waugh earned a bachelor’s degree from Massachusetts Agricultural College (1922), where his father Frank A. Waugh was a Professor of Horticulture and Landscape Architecture, followed by an MA from Rutgers (1926) and PhD from Columbia (1929). He enjoyed a distinguished fifty-year career as an agricultural economist with the US Department of Agriculture. A snapshot of life in the First World War, the Waugh collection includes Frederick Waugh’s army jacket (with Croix de Guerre), helmet, and puttees, and a remarkable history of the unit and photo album, Being the Book of S.S.U. 539. A second book, I Was There with the Yanks in France (1919), has been transferred for shelving to the Rare Books stacks. A native of Ontario, Lawrence D. Yeomans was working in New York when he volunteered for service in the U.S. Army Signal Corps during the First World War. 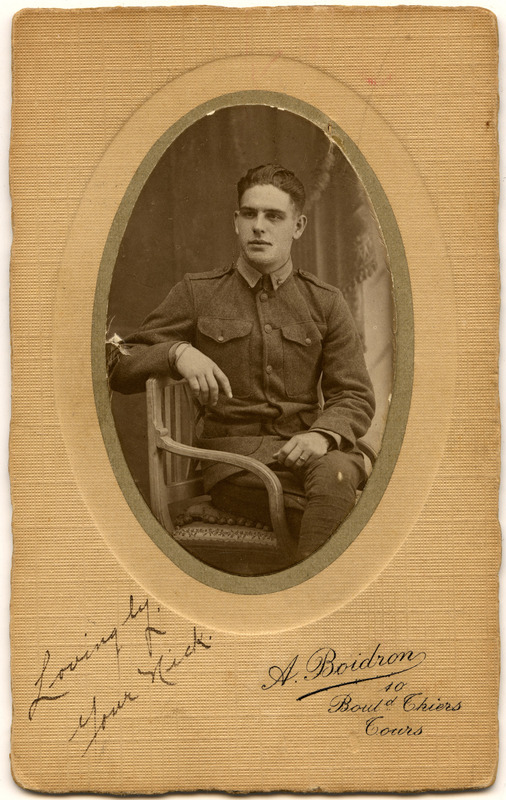 For eighteen months, Yeomans served as a chauffeur with the Signal Corps in France, driving senior officers around Paris and to and from the front. This small collection documents Lawrence Yeomans’ time as a chauffeur with the Signal Corps during the First World War. In addition to a handful of official documents relating to his service, Yeomans held onto a few pieces of ephemera as souvenirs, some postcards, and a set of photographs, including three depicting him in uniform and ten showing a display of German war material confiscated at war’s end.